Shruti had been participating in the Dream Run of the Mumbai marathon since 2 years. She was challenged by her friends to register for the half marathon (21 kms) for the next event which was 7 months away. Due to peer pressure, she did register for the half marathon, but developed cold feet 5 months before the event. She tried running on the beach, but could never go beyond 13 kms; after which she lost all her energy. Shruti’s elder brother Randeep and her parents encouraged her to practice harder, and change her daily routine. She watched a few motivational videos on youtube, and got charged up to face the challenge. Her willpower seemed to be motivating her to go for it. Now there was no stopping Shruti. She started waking up at 5 am and go for practice. But things did not turn out as expected. Shruti could not concentrate in her college lectures as she was too tired and drained out. The problem was in her daily routine. Shruti generally slept at 12 in the night and woke up at 7 am. The 2 hours of less sleep played havoc in Shruti’s life and adversely affected her health. All her willpower went in vain and she eventually stopped her practice. Shruti diligently followed all the advice and tips suggested by her fitness mentor. She managed to successfully run the half marathon along with her friends, and was elated to say the least. Not only did she develop her self-confidence, she felt healthier and managed to lose a lot of extra weight. Isn’t Shruti’s story similar to ours? How many times do we make up our minds about achieving some goal; but fall short and give up in between. We are often so excited at the beginning of every venture, but somehow the initial willpower does not last long and we eventually give up! Shruti reached her goals, only because she channelized her initial willpower into small but healthy habits. They were little things like sleeping on time, or eating healthy meals at the right time, but these habits helped her reach her goal. In fact these habits so got engrained in Shruti, that she continued them even after the marathon! The capacity to say “no” to the call of temptation and desire to quit is called willpower. You can make the willpower centers of your brain denser and better connected by meditating every day. 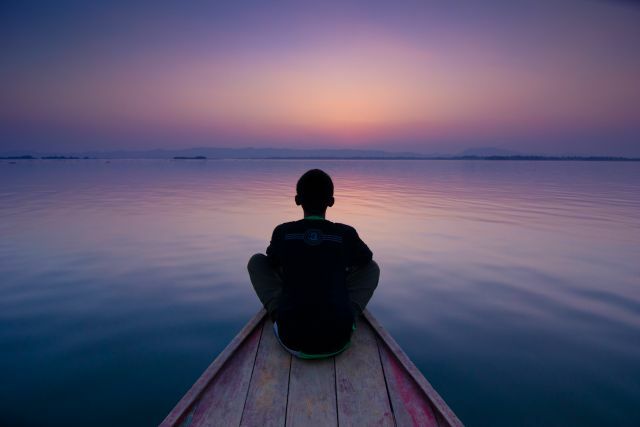 Neuroscientists have found that meditation leads to better focus and self-control after just 3 hours of practice. MRI scans show increased neural connection in brain regions responsible for impulse control. Our willpower is not some elusive emotion to capture; it is a finite muscle that we can work only so much before it wearies. Haven’t we often promised ourselves that we were going to finish an assignment, but seconds later reached for your laptop or the TV remote and abandoned the task altogether? We’ve all done it. That’s where habits are essential. With a foundation of willpower enhancers in mind, we must move to good habits. 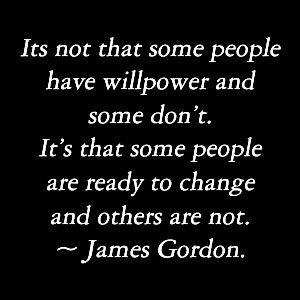 Willpower is important to get something started, but it is not sufficient to make changes that last. For that we need to create good habits. We already have a lifetime of habits we’ve created, so infusing a new one is a process. It takes about 45 days to establish a new habit in three phases. The first feels unbearable. The second is uncomfortable. The third becomes unstoppable. When you get to that third phase, the habit is making you happy. When you’re learning and developing a new habit, give yourself permission to be imperfect. Eating healthy at the right times. Sleeping and waking up on time. An important exercise we can engage in is to create a daily-to-do-list, for the rest of our lives. This will give us a sense of purpose and meaning to the day. It would be best to take a second every night before we turn out the light and, in that moment, quit worrying about what we don’t have. Quit worrying about what others have that you don’t. Think about what you do have. We would then have a lot to be thankful for. Another important change we need to instill in our lives is taking control of what we speak. E.g. Saying I don’t rather than I can’t– (for instance, ‘I don’t eat sugar’) instead of ‘I can’t eat sugar’. Saying ‘I can’t’ connotes deprivation, while saying ‘I don’t’ makes us feel empowered and better able to resist temptation. We can be motivated to lead a healthier lifestyle, and still spend our evenings with a bottle of cola and bag of wafers in front of the TV. We can be motivated to write a book, and still not get beyond the table of contents. What we have to realize is that it is only the combination of will power and habits that helps us achieve long-term results. If we use willpower to create a habit, we will have a chance to achieve lasting change. And because building new habits takes time and energy/willpower, it is best to work on few habits only. If we do try to form too many habits at the same time, we’ll end up right back where we started: shattered, stressed-out and struggling to accomplish our goals. In order to avoid this, we have to focus on one habit at a time. Take it one habit at a time and use that innate ability of yours – willpower – when you need the extra push. Once you successfully develop a habit, don’t rush off to the next one too quickly. Take a moment to celebrate and be proud of your accomplishment. Let the habit become a part of your life and then move to the next one. 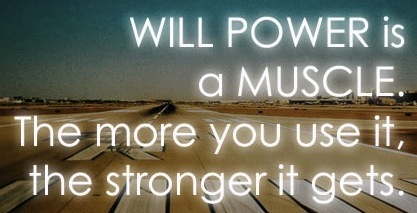 So are you ready to flex your willpower muscle, and develop some life changing habits? Think about it! Janushi was responsible for report generation and upkeep of the Sales MIS at a large electronics and communication conglomerate based in Noida. She would coordinate and collect data from the respective vertical heads, verify, audit and amalgamate the same to produce monthly/ quarterly reports, and present them at the board meeting held at the end of every quarter. She was particularly facing issues with the Vice President of South India, Mr. Karnala – who would never submit his data on time, despite multiple requests and reminders. His data invariably arrived only a day prior to the board meeting, and Janushi had no option but to update the mentioned sales figures in his reports without verification. Her troubles seemed to be over, when it was announced that due to stupendous performance during the last two years, Mr. Karnala was being promoted as Senior Vice President, and was being transferred to the Dubai office for managing the operations at the new geography. Mr. Desai took over the roles and responsibilities from Mr. Karnala. Mr. Desai was an honest and diligent person and had been with the organization for 12 long years. He had taken over from Mr. Karnala in October, and helped Janushi with the third quarter reports for the South division well in time. She could now verify and audit the correctness of the data before presenting it to the senior management team. However, there was huge pandemonium in the 4th quarter. Being the end of the financial year; Janushi not only had to present quarterly data, but also the consolidated data for the complete financial year. Apparently, the data provided by Mr. Desai for Q1 and Q2 did not match the data earlier sent by Mr. Karnala. While Mr. Desai’s report showed lower sales figures; Mr. Karnala’s reports showed significantly higher numbers (a difference of 70 percent!!). The audit committee was summoned to study the reason for the difference, and they were asked to present their report to the management within ten days. The report submitted by them was unthinkable and unimaginable at face value. Their assessment revealed that Mr. Karnala had inflated sales figures and revenue numbers in the last 2 years, and got away by using his coterie with a certain section of the board. Mr. Karnala was called back to India and he eventually lost his job. 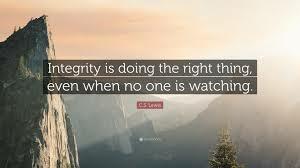 Just as we are so particular about considering the brand of a mobile/ television before we decide to purchase it; we must realize that integrity is our brand. However the sad truth is that, just like brands in the business world, our individual brand takes years to build but only seconds to destroy. Over the years, we would have come across so many talented people that fell by the wayside because they were willing to cut corners to achieve their dreams – padding reports, fudging numbers, or enhancing their resume. “I am not bound to win, but I am bound to be true. I am not bound to succeed, but I am bound to live up to what light I have.” – Abraham Lincoln. 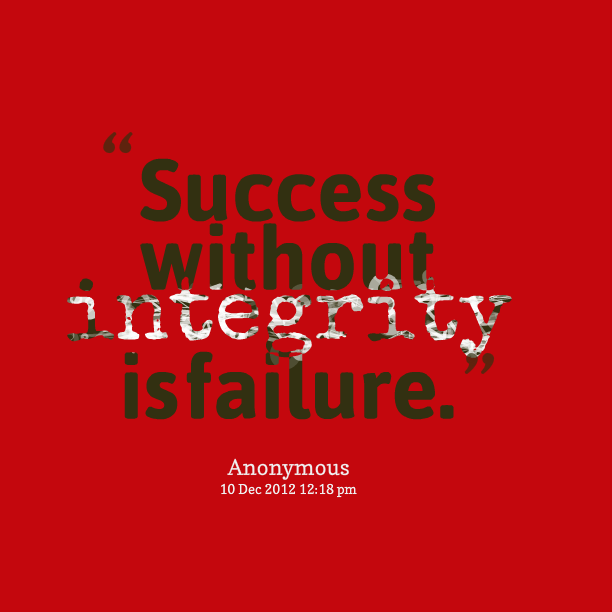 Integrity cannot be acquired instantly. One needs to work on it. We must continue to toil till such time that it becomes our habit! After all we live in a world where “the end justifying the means” has become an acceptable school of thought. 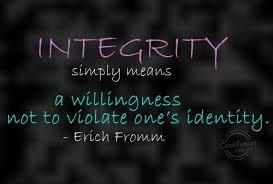 Walking in integrity would often mean going against the grain of society. 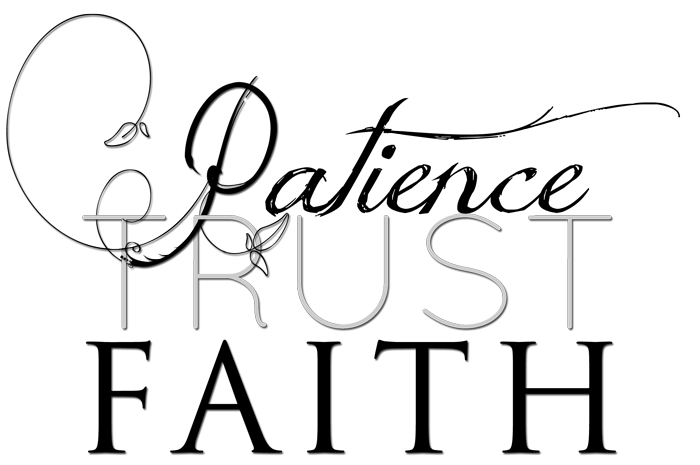 Only people with conviction can stand true in integrity. The bible states – “Whoever walks in integrity will be delivered, but he who is crooked in his ways will suddenly fall.” – Proverbs 28:18. But integrity is not everyone’s cup of tea. It requires courage, determination, and conviction to hold on to your values for a lifetime. “Honesty is a very expensive gift, don’t expect it from cheap people.” – Warren Buffet. At the end of the day, each one of us has to adopt a path in life. Nobody can choose the route for us. It’s an individual decision. Martin Luther King Jr. stated “Every man must decide whether he will walk in the light of creative altruism or in the darkness of destructive selfishness.” I remember reading somewhere – Wisdom is knowing the right path to take. Integrity is taking it. So which path do you choose to take? It was April 2005. Gayatri had appeared for her 11th standard exams and had transitioned into a very important academic session – the year of the CBSE boards. She had enrolled for various classes that could help her prepare for the board exams/ entrance tests (mandatory to acquire admissions to a medical college). Securing a position in the top 20 of the merit list was essential since Gayatri wanted to obtain admissions in Mumbai itself. Becoming a doctor was her dream, and she could not afford anything going wrong in the next 12 months! Unfortunately, Gayatri met with an accident while crossing the road in May 2005, and ended up with a plaster in her right hand, making it impossible for her to write during the next 4 weeks. Gayatri however made sure that she kept herself updated with all notes by taking photocopies from friends at college. When imperative to write, she had no option but to use her left hand. Come July 2005, and Mumbai witnessed torrential rainfalls (breaking records of a previous hundred years). Somewhere luck was against Gayatri. She stayed on the ground floor of an extremely low-lying area in Kalina. Rain-water entered her house for 2 consecutive days, and reached a level of 3 feet in the living room and bedrooms. As a result, she lost very important notes and books which were essential for her examinations. Her study table was completely damaged. She was disheartened to say the least. Gayatri’s parents comforted her and purchased new books for her. But the notes had to be prepared yet again! Tragedy struck in October 2005. Gayatri lost her cousin brother, Rakshit (16) in a road accident. She was very close to him and spent summer vacations in Delhi every year with him. She immediately traveled to Delhi with her family. Gayatri was heartbroken. To cope with the loss of a dear one at such a tender age can be grueling to say the least. Her resolve to become a doctor now increased manifold. Rakshit always wanted that he and his elder sister become doctors and have a hospital of their own. This was their dream; a desire of their hearts. She had to succeed at any cost. Not for herself, but for Rakshit! With every hurdle that Gayatri went through, she emerged resilient and tougher. She took it a day at a time and ensured that she prepared well in advance for all her examinations in March and April 2006. The results were announced in July 2006, and I am glad that Gayatri secured admissions to the MBBS course in a renowned college of Mumbai. Despite all the hitches and snags, she never gave up. What qualities in Gayatri saw her through these tough scenarios? What was the secret to her success? 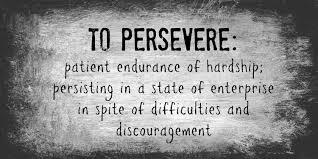 This could be summed up in two words – Patience and Persistence. Faith plays an important role while we hang on with patience and persistence. The bible says in Luke 17:6 – “If you have faith as small as a mustard seed, you can say to this mulberry tree, ‘Be uprooted and planted in the sea,’ and it will obey you.” Having a strong conviction and believing that the universe always conspires to help us would go a long way in helping us achieve our goals. 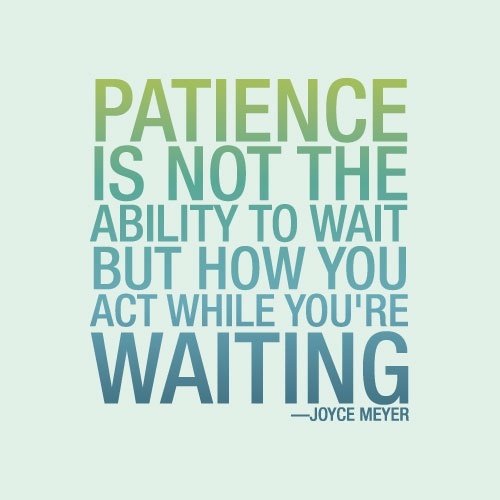 So are we willing to walk the path with patience and persistence? It surely is the road less travelled, but it would make all the difference – I guarantee! Hari and Gopal are 14 year old twin brothers staying in a posh bungalow at Koramangala, Bengaluru. They belong to an affluent Tamilian family hailing from Coimbatore, Tamil Nadu. Along with their parents, the lads are very close to their younger sister Rohini, four years younger to them. Both brothers are excellent singers, and have been training in Hindustani Classical music since the age of 7. They come from a family of esteemed musicians, and their parents are very particular that the boys do not miss their classes and daily morning riyaaz. Since Hari is an extrovert, he is more popular amongst his music teachers, friends and family. On the other hand, Gopal is more timid and takes time to open up with others. Both the brothers are equally talented and gifted singers. The blokes recently participated in the state level Hindustani classical music competition, and were thrilled with the fact that they were shortlisted for the all India competition to be held in two months’ time. While Hari got the first prize (gold), Gopal got the (third prize) bronze. It was time to celebrate! The proud parents and Rohini threw a big bash for them. Hari was ecstatic at the praise and recognition he was showered upon by all his fans on television. He started spending a lot of time on the newly created facebook page, whatsapp chats with friends, and reading love letters received from his female fans. Instead of the daily 4 hour riyaaz, he was able to only train only for 2 hours. Due to frequent parties and outings, he was unable to stick to the satvik meal recommendations by his gurus. Gopal on the other hand, used to lock himself in his room and immersed himself in riyaaz. He was very particular about what he ate, and kept sipping on hot water throughout the day. The week of the much awaited competition finally arrived. Sixty eight participants from India mesmerized the judges and the audience. The results came as a surprise to a lot of people. While Gopal got the All India Silver medal (first runner up), Hari was eliminated in the initial rounds and ended up at 12th spot. What happened? Why did Hari lose out despite having the initial edge, and being one of the favorites in the competition. The only term that can explain this result is Self-discipline. While Hari got complacent and lost his sense of discipline, Gopal became more determined to be better at his singing. It is imperative to have a vision for your life and then work towards achieving the same. Self – discipline is about consistency and is the first step toward greatness. It is the biggest stumbling block for most non-champions. We must start with baby steps. 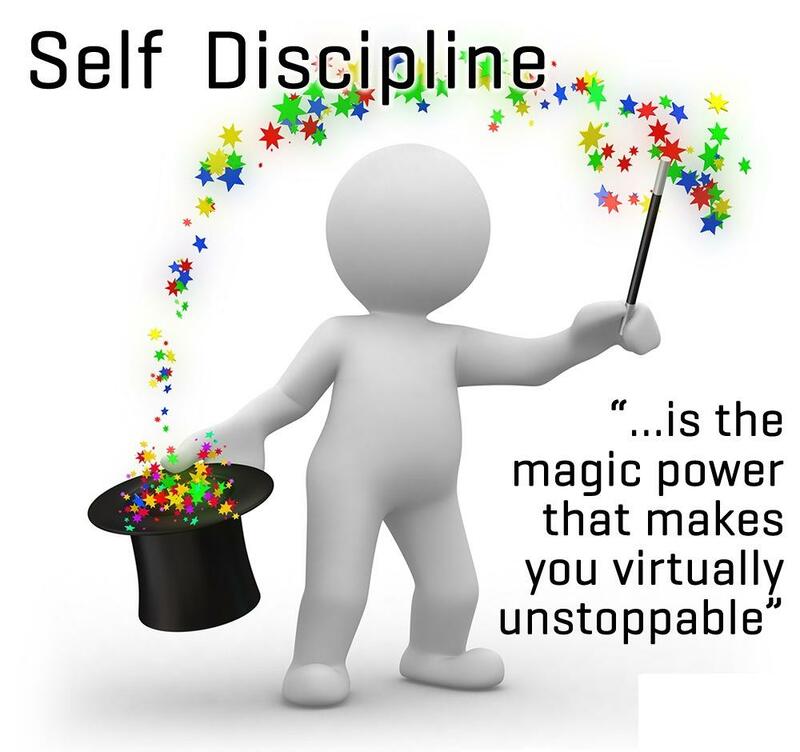 Just as it takes time to build muscles, so does it take time to develop self-discipline. So, begin by taking the decision to go forward and learning what it takes to get there. While we are on the journey to success, we must continue until our daily tasks become habits. It takes around 6 weeks for a task to become a habit and get engrained in our subconscious mind. Vision demands self-discipline. No vision is achieved without self-discipline. 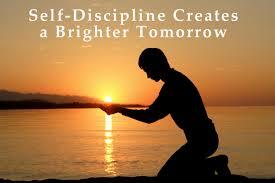 Jim Rohn puts it so aptly when he said that “Discipline is the bridge between goals and accomplishments”. The result is not only the satisfaction from a sense of accomplishment, but the journey itself to get there. The higher you go in life, the higher self-discipline is required to sustain your achievements. 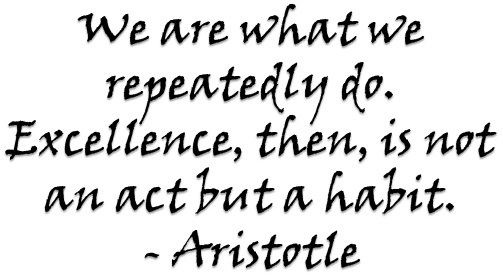 There is a discipline required for becoming excellent in any profession or area of life. 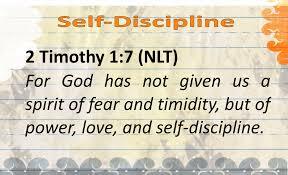 Self-discipline will set you apart from the competition and place you on the pathway to success. We all have dreams. But in order to make dreams come into reality, it takes an awful lot of determination, dedication, self-discipline, and effort. – Jesse Owens. It all depends on how much importance we give to our dreams/ visions and how much we strive to achieve them. We must move out of our self-created fear zones, and move forward with courage knowing that the Almighty is with you. I would like to conclude by giving you the recipe to Self-Discipline! Ingredients – (i) magnificent vision, (ii) unlimited dreams, (iii) achievable goals, (iv) good habits, (v) positive motivation. Mix these ingredients and garnish with a dash of self-control, consistency, courage and commitment. Serve daily for breakfast, lunch and dinner; and get set to treat your taste-buds with the tastiest dish ever. You’ll come back for more – I guarantee!!! 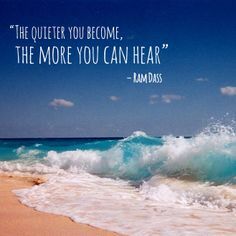 While I was meditating one evening, staring into infinity, away from the tensions and chores of life, enjoying the solitude, a word struck me like lightning – SILENCE. It was as though the universe instructed me to stay in a state of silence. No words, no actions, no sound, no activity. Complete SILENCE. I remained there for an hour. It was bliss! We often talk a lot of unnecessary stuff, which ultimately results in tensions / negative situations in our life. We don’t give Silence a chance to operate. Once regretful words have been put out there, it is often too late. It is best to control them earlier on. Fewer words are sometimes all we need to share wisdom. 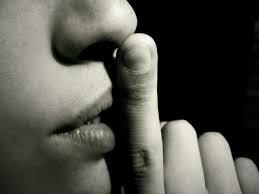 Pythagoras rightly said “Be silent or let the words be worth more than silence”. Communication is not just about using words. Real communication is beyond words. What a single glance can convey, a thousand words cannot. Mark Twain aptly mentioned “The right word may be effective, but no word was ever as effective as a rightly timed pause”. The bible mentions in Psalm 46:10 – “Be still and know that I am God”. 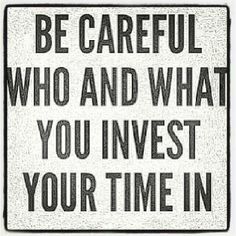 The issue with our generation is that we don’t invest time in our souls. We get so busy with the rigmarole of life that we forget the little things which matter. We pay much more importance to our body/ mind, and the soul gets neglected. We boast as though we know it all. It would be wise to read the psalm once again. It says – Be still and know that I am God. It does not say, be still and know that you are God! The Almighty is willing to give us answers/ solutions to all our circumstances. He is keen to grant us our petitions, prayers though his grace and mercy. But do we ever remain Silent so that we my hear him? There would be no better way of concluding this article than by quoting Frank Ocean’s famous words – “Work hard in Silence, let success be your noise.” So have you heard the Sound of Silence? Try it, there’s nothing more melodious I guarantee!!! Raman and Ranveer are first cousins living at a plush South Mumbai locality of Cuffe Parade. They are 16 years old (Raman being elder of the two by 3 months). The families are ecstatic as both the lads have scored very well in their 10th Standard ICSE board exams. While Raman got 90.7%, Ranveer did a tad better at 92.2%. Belonging to a family of medical professionals, both Raman and Ranveer had aspirations of becoming doctors, and were lucky to have got admitted in the Science faculty of the same junior college. The next 2 years were going to be very important for the brothers, as their fate in the 12th board examinations would decide their access to medical courses. Raman was inclined towards music, reading, spirituality and painting. While Ranveer was more outgoing and preferred dance, sports, clubbing and partying. Both had enrolled for the same tuitions and classes for their Medical CET preparations. Sunday was generally a free day for the boys, and both spent their time in leisure activities. Raman was taking piano lessons and had enrolled himself for a certification with the Trinity School of Music. He would spend the day at classes and the evening with his peers discussing music and arts. Ranveer got an opportunity to go partying with his pals. Unfortunately he got hooked on to wrong company and got habituated to smoking, alcohol and drugs! In an ill-fated turn of events, the police turned up at the bar where Ranveer and his friends were partying. They were arrested for illegal possession of drugs. Somehow his parents managed to bail him out and got him back home. The situation at home was tense. Ranveer, instead of being apologetic, back answered elders at home, and justified his illegal activities. Sadly, his parents learned over a period of time, that Ranveer was addicted to drugs and could not live without them. He could not concentrate on studies, and needed his daily quota of marijuana. He got pretty ill, and had to be admitted to a rehab center for 4 months! Academically, he lost a year since he was unable to attend his 11th Standard final exams. On the other hand, Raman scored very well in his board and entrance exams and got admitted to a MBBS course. What went wrong with Ranveer? Despite getting higher scores in his ICSE exams, he could not continue with his good performance. The answer is simple! He got into wrong company. This can be explained by the Power of Association. Jim Rohn famously said, “You are the average of the five people you spend the most time with.” The key to really putting the power of association at work is to ensure that the average of the five people we’re spending the most time with is pulling us up instead of pulling us down. The principle is tried and tested. 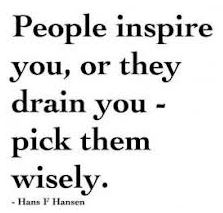 You can predict the success of an individual simply by looking at the people he or she associates with. “When I compliment you, I compliment myself” – Jarod Kintz. We must always seek to associate with people more successful than we are, and wiser, too. We should surround our self with people of high ethical character, and with those who have high appetite for work. 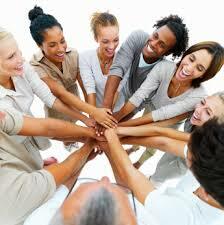 To lead for growth, your energy will come from associating with people who are more successful than yourself. I would like to conclude with some pearls of wisdom by Jim Rohn: “You must constantly ask yourself these questions: Who am I around? What are they doing to me? What have they got me reading? What have they got me saying? Where do they have me going? What do they have me thinking? And most important, what do they have me becoming? Then ask yourself the big question: Is that okay? Your life does not get better by chance, it gets better by change!” We would have to be more conscious, take charge of our lives, and take informed decisions regarding individuals we spend time with. This would have a direct impact on our success, happiness, peace, prosperity and health. 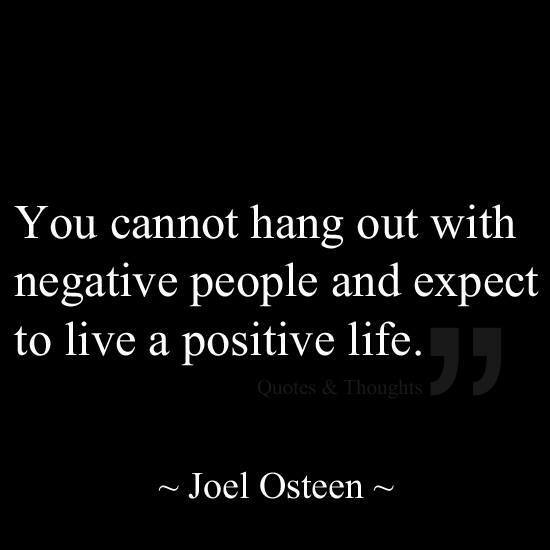 So whom do you choose to associate with? While pondering about the next topic to be published on this website, it suddenly struck me that I had not posted any book reviews yet. Books have always been my closest friends, and very faithful ones. When my soul longs for solitude, I cut off from this world, and immerse myself in the language of words. Being the maiden book review for this website, it had to be a special one! 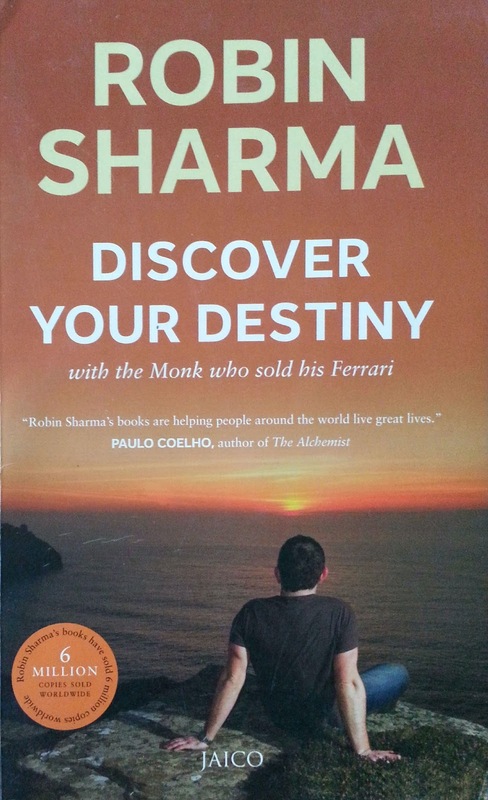 I glanced through my mini library at home, and soon my eyes were fixated on Discover Your Destiny with the Monk Who Sold His Ferrari by Robin Sharma. For those who don’t know Robin Sharma, he is an internationally acclaimed leadership guru. He is the CEO of Sharma Leadership International, which helps develop employees in organizations via training and coaching. He’s authored more than 10 books, most of them being bestsellers in more than 50 countries. Robin is also a highly sought-after speaker, leadership coach and consultant. 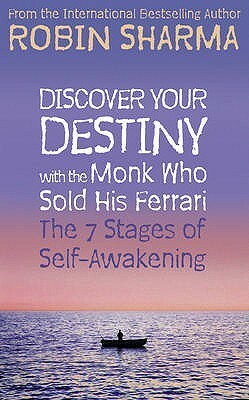 Discover your Destiny, is a continuation to Robin’s previous work – The Monk Who Sold His Ferrari, and is written as a rich and rewarding fable. The main protagonist, Dan Sanderson, is projected as a highly ambitious executive who appears to have it all on the outside but lacks happiness, meaning and inner peace. An encounter with Julian Mantle, the monk sets Dan upon an interesting journey to find his authentic self and claim the life of his dreams. The book wonderfully portrays life as a treasure, and puts the reader to think. It teaches us to embrace things as they happen with an open heart, which in turn enables us to grow wiser and stronger. The reader is enlightened on how to lead a disciplined and a happier life, and is made aware of how one should create happiness and success. You are sitting in the middle of a magnificent, lush, green garden. This garden is filled with the most spectacular flowers you have ever seen. The environment is supremely tranquil and silent. Savor the sensual delights of this garden and feel as if you have all the time in the world to enjoy this natural oasis. As you look around you see that in the center of this magical garden stands a towering, red lighthouse, six stories high. Suddenly, the silence of the garden is disturbed by a loud creaking as the door at the base of the lighthouse opens. Out stumbles a nine-foot-tall, nine-hundred-pound Japanese sumo wrestler who casually wanders into the center of the garden. The Japanese sumo wrestler is naked! Well, actually he is not totally naked. He has a pink wire cable covering his private parts. As this sumo wrestler starts to move around the garden, he finds a shiny gold stopwatch which someone had left behind many years earlier. He slips it on, and falls to the ground with an enormous thud. The sumo wrestler is rendered unconscious and lies there, silent and still. Just when you think he has taken his last breath, the wrestler awakens, perhaps stirred by the fragrance of some fresh yellow roses blooming nearby. Energized, the wrestler jumps swiftly to his feet and intuitively looks to his left. He is startled at what he sees. Through the bushes at the very edge of the garden he observes a long winding path covered by millions of sparkling diamonds. Something seems to instruct the wrestler to take the path, and to his credit, he does. This path leads him down the road of everlasting joy and eternal bliss. Rise each and every morning at 5 am. Those who get up early are those who get the best from life. Set aside the first sixty minutes of your day as your “holy hour”. This is your sacred time to do the inner work (prayer, meditation, journaling, reading from the wisdom literature, reflecting on the state of your life) that will help you live your highest life. Display a standard of care, compassion and character well beyond what anyone could ever imagine from you. In doing so you will be doing your part to aid in the building of a new world. Display a standard of excellence at work, far higher than anyone would ever expect from you. Abundance and fulfillment will flow back to you. Devote yourself to being the most loving person you know and thinking, feeling and acting as though you are one of the greatest people currently on the planet. Your life will never be the same and you will bless many lives. Within your heart all answers lie, walk towards your fear and then you’ll learn to fly. Life is a treasure and you are so much more than you know. The mind is an excellent servant but a tyrannical master. When you shift from a compulsion to survive, into a heartfelt commitment to serve, your life cannot help but explode into success. Sometimes in life we feel left out, insecure, or completely lost. We just don’t know how to proceed further. This well written masterpiece gives us a lot of answers and the way forward. While reading it, I’ve laughed and cried. This is definitely one of the most powerful and amazing books. Life-changing is an understatement! Unputdownable. Highly recommended. Go read this one!